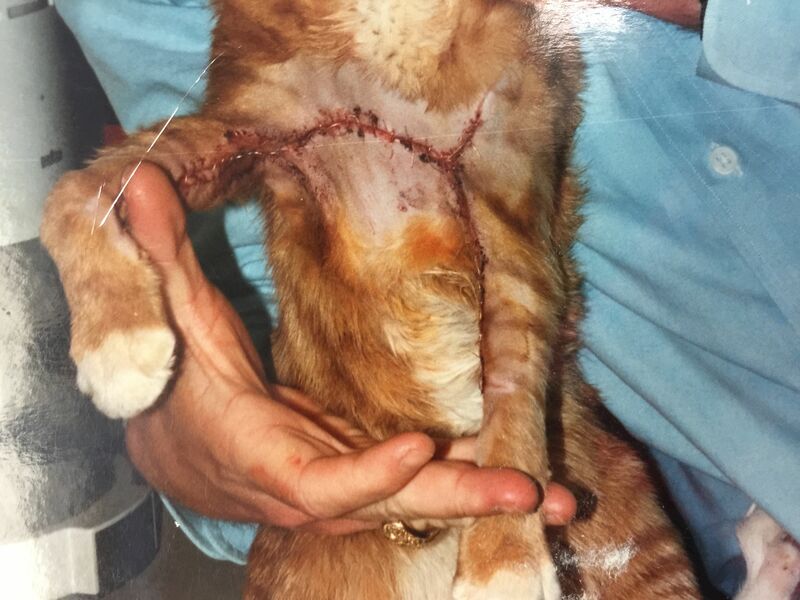 A very happy and playful kitty named Bob jumped up on a counter and splashed pot pourri oil across his chest and arms. This caustic substance caused a delayed full thickness tissue burn five days later. 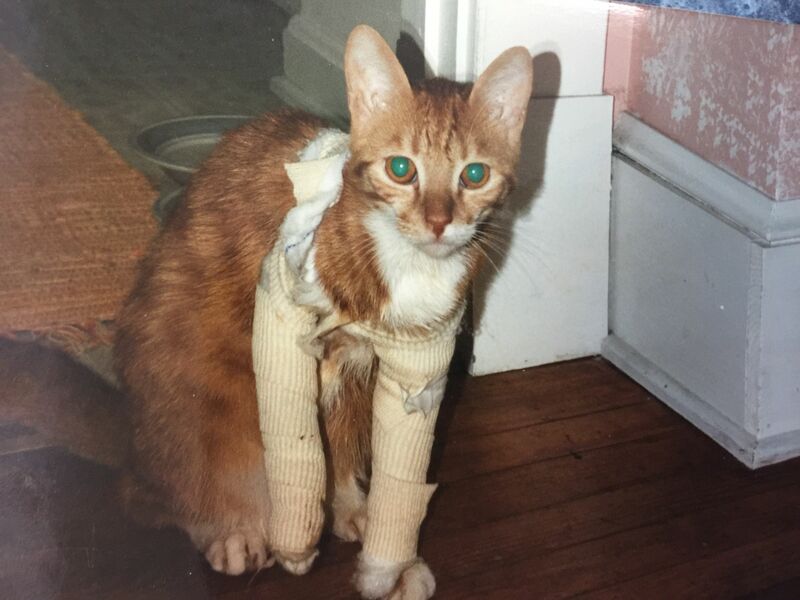 Bob was a real trooper despite a temperature of 105 degrees and being unable to use his front legs. 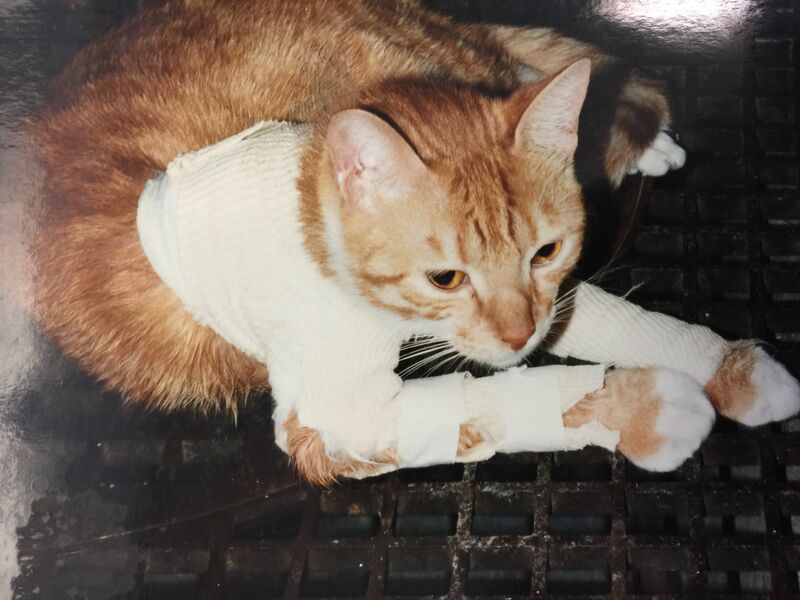 After aggressive antibiotic therapy and multiple surgical debridements over a 9 week period, a final recontructive surgery was successful at covering his burns. Bob is completely healed and back to his old playful self.